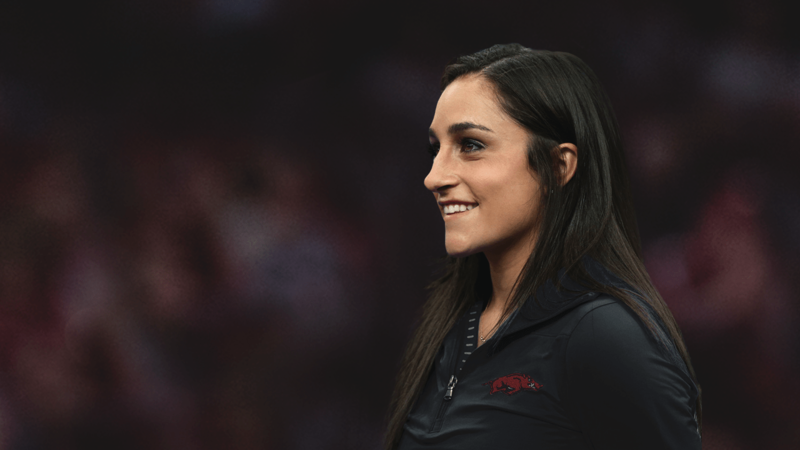 Olympic gold medalist and UCLA assistant Jordyn Wieber has been named as the head women’s gymnastics coach at the University of Arkansas, Vice Chancellor and Director of Athletics Hunter Yurachek announced on Wednesday. 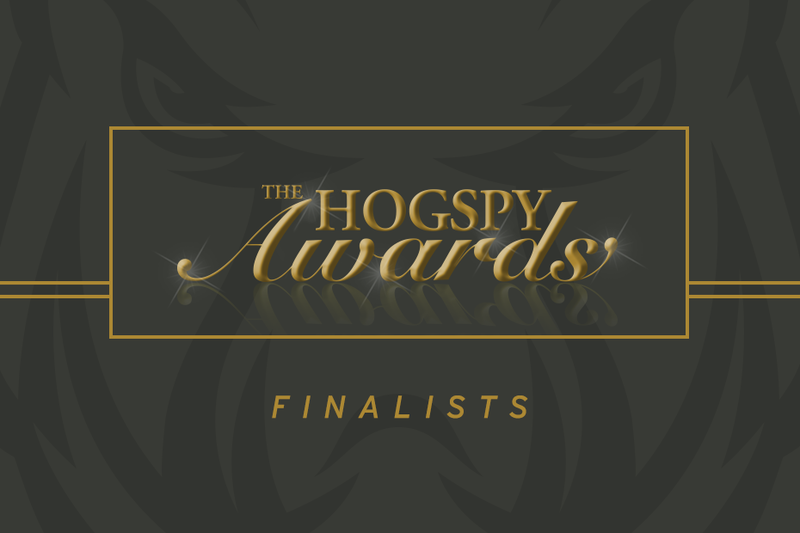 From memorable plays and record-setting academic achievements to striving for championships and excellence in the classroom, the eighth annual HOGSPY Awards will celebrate the best-of-the-best among Razorback student-athletes, Spirit Squad, marching band and staff during the past year on May 1, 2019, at the Walton Arts Center. 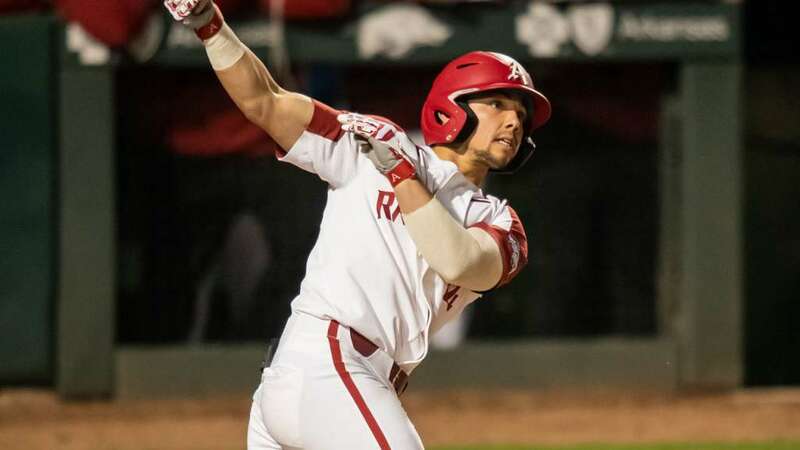 The sixth-ranked Razorback baseball team saw its six-game winning streak snapped Wednesday afternoon as Northwestern State defeated the Hogs, 10-7, splitting their two-game midweek series at Baum-Walker Stadium. 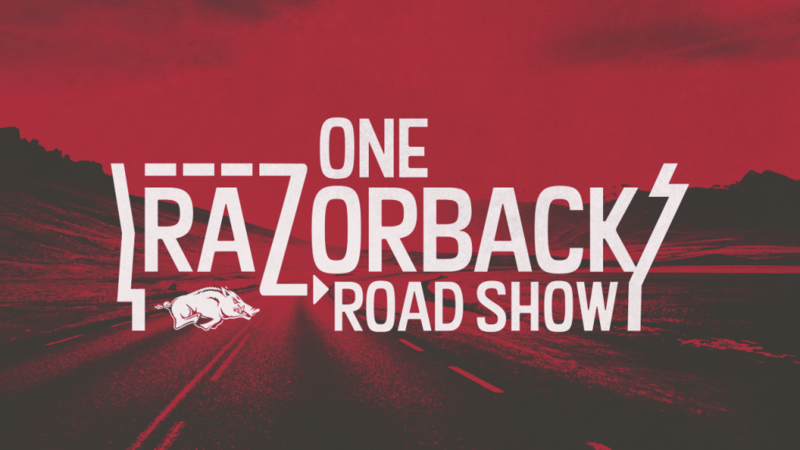 Arkansas moves to No. 8 in the Golfstat rankings and go West for NCAA Regional action. 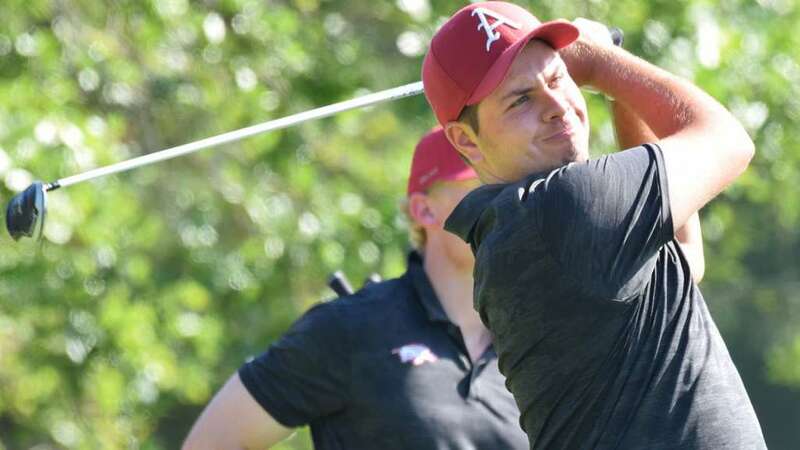 Julian Perico shot a bogey-free round of 4-under-par 66 to lead the Arkansas men’s golf team in the opening round of the 2019 SEC Championship, played on the Seaside Course at Sea Island Golf Club (par 70, 7,005-yards). 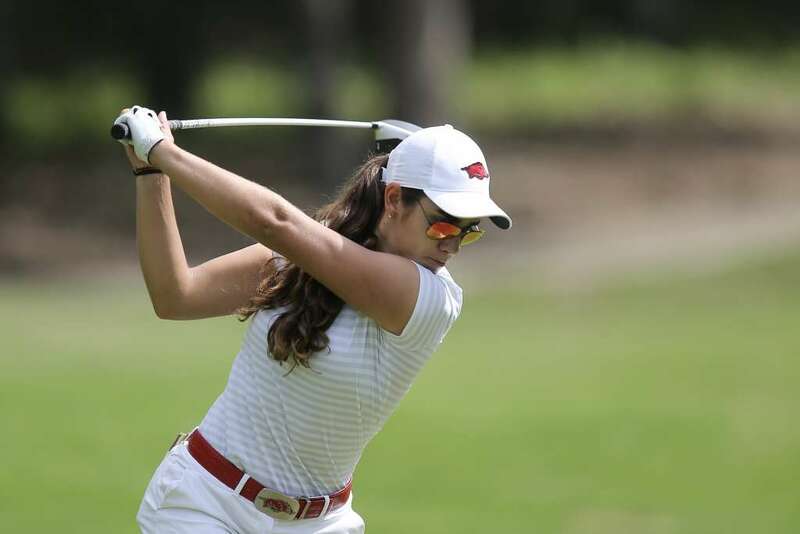 The Razorbacks are tied for eighth after 18 holes, carding an opening-round 281. 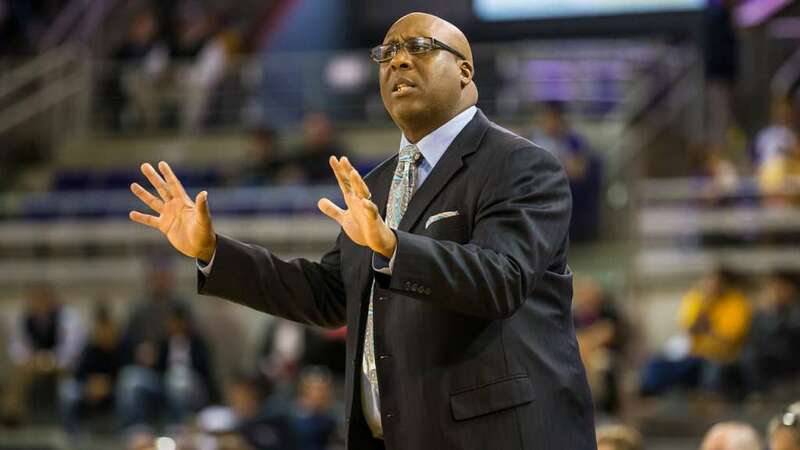 Corey Williams, former head coach at Stetson and member of the 1993 World Champion Chicago Bulls, has been named assistant men’s basketball coach at the University of Arkansas, Razorback head men’s basketball coach Eric Musselman announced today. 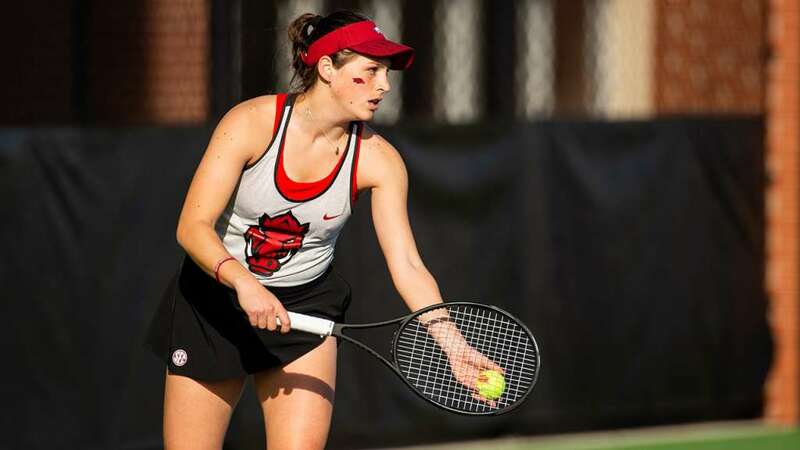 Razorback sophomore Martina Zerulo was named to the All-SEC First Team, as announced by the league office Wednesday afternoon.